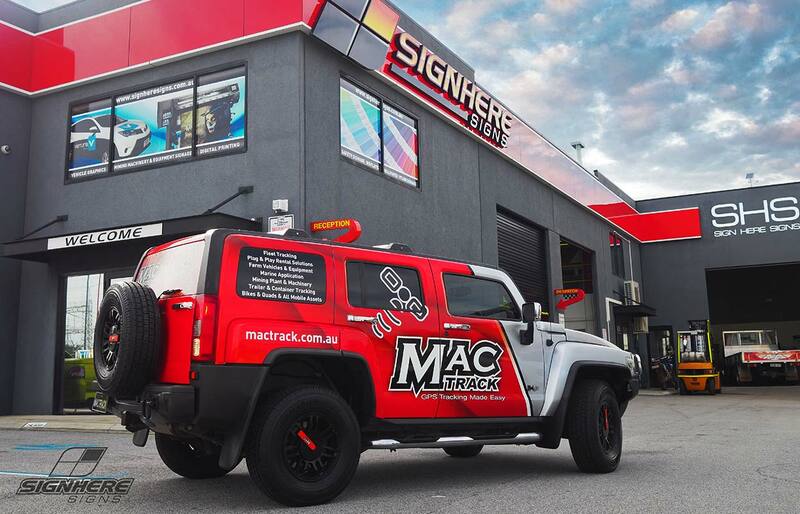 Turn your company car into a traveling billboard with vehicle wraps, customised to your business and brand. 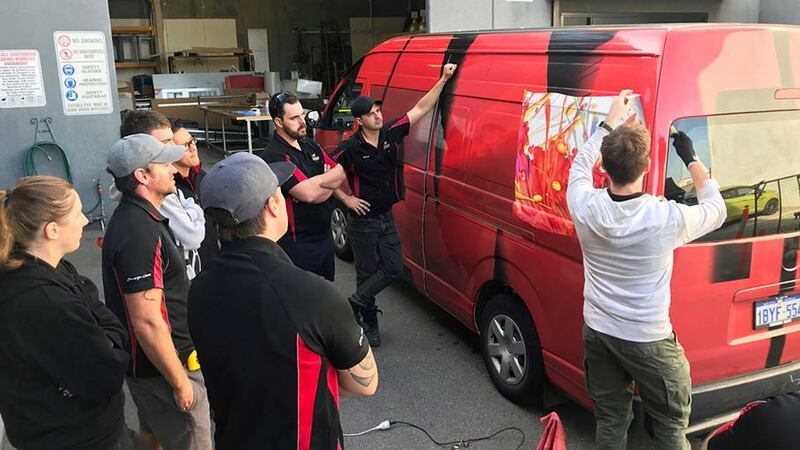 On the road, at a job or even parked at a shopping centre – vehicle wraps are an easy and surprisingly affordable way to get seen by thousands of people, every day. 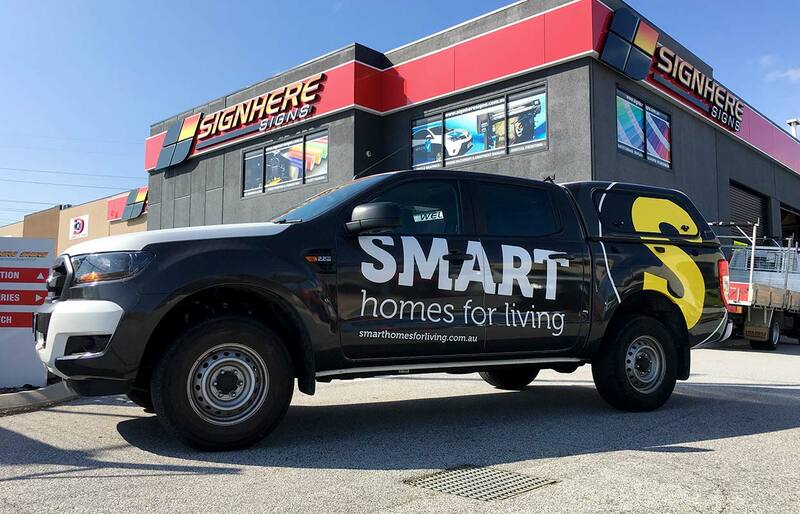 We can design vehicle wraps, based on your existing branding and colours, or get our design team to develop your signage from scratch. The whole process happens in-house, at our facility in Malaga. This is one reason why our vehicle wraps cost less, and can be made in record time. Just ask, and we will recommend a design solution that makes your car (or fleet) look the part. 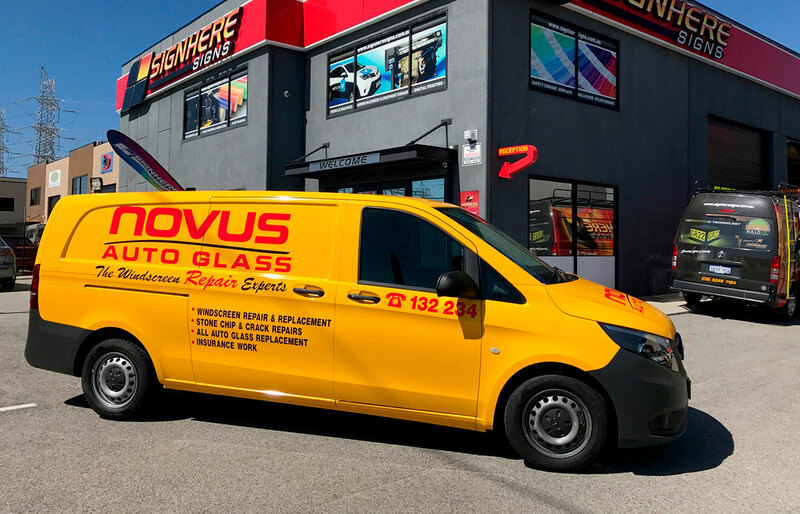 And, we only use quality materials, which means our vehicle wraps last a long time, and withstand WA’s sunny weather conditions. We’re also happy to wrap entire fleets, trucks, delivery vans, or just one vehicle. We do special pricing on fleets, so ask us when you get in touch for a quote. The entire process is easy, and we think the result is pretty special too. 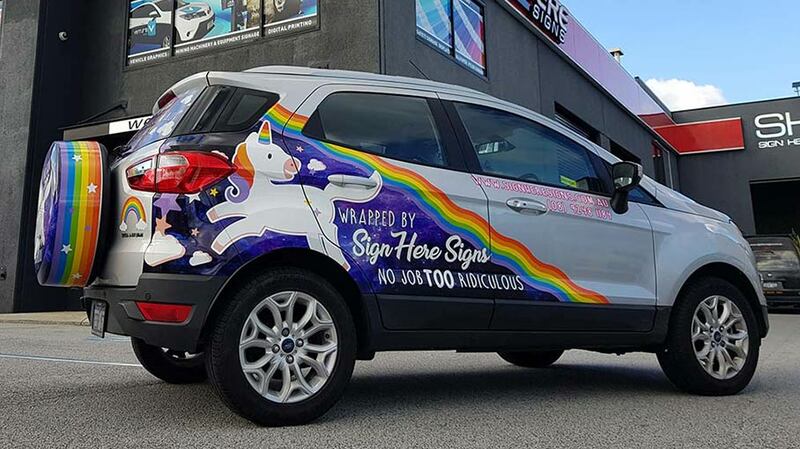 We love vehicle wraps so much that even our boss drives a car wrapped as a unicorn. Yes, it makes us smile every time Russell pulls up into the car park, but it also gets us noticed by potential customers. And that’s exactly what we want for you.